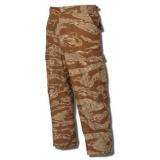 No law enforcement uniform is complete without a pair of sturdy pants. Our selection includes men's and women's pants and shorts from some of the world's best-known manufacturers of tactical clothing, including Tru-Spec, 511 Tactical and Blackhawk. Styles range from boardroom-friendly professional pants to camouflage-patterned TDUs. 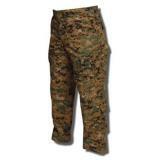 Law enforcement pants typically feature sturdier construction than civilian designs in order to withstand the stresses of operational use. 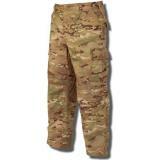 They are typically made from rugged materials such as heavyweight twill, polyester-cotton blends and ripstop fabrics. Reinforced seams, bartacked stress points and double-thickness areas are common, ensuring that there are no weak points. Many manufacturers have introduced innovative performance elements into their materials, including moisture-wicking technology and mobility-enhancing stretch. Stain-resistant fabric treatments and fade-proof colors are also common, as officers need to maintain a professional appearance. Because law enforcement personnel need to remain mobile, tactical pants also often include self-adjusting waistbands, gusseted crotches and other flexibility-enhancing features to minimize restriction. Shorts are an excellent alternative to pants for active wear, particularly in warmer weather conditions, as they provide increased ventilation and mobility. 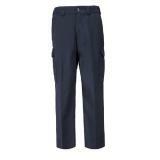 Officers typically carry a large amount of equipment on duty, and so tactical pants and shorts are designed with this in mind. Many feature large reinforced belt loops, allowing them to support the weight of a duty belt or a tactical holster. 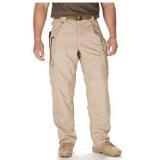 Cargo pockets are common, and often feature snap closures or other fasteners for security. 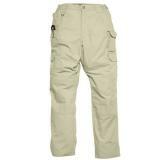 EMS pants in particular are designed to store and organize a large amount of gear. 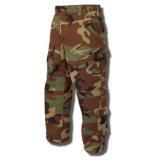 Even more stripped-down pants often include reinforced pocket bags and seams to support the weight of stored equipment. 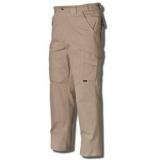 Some styles also feature pockets at the knees, designed to fit protective kneepads. When shopping for pants and shorts online at CopsPlus, don't forget that every pair is backed by our low price guarantee. Don't forget to also view our other apparel.